Literature and the English Civil War charts the relationship between literary texts and their historical context during this era of profound change and upheaval for British society and culture. The volume demonstrates that literary texts are not merely passive reflections of the historical events that help to form them. On the contrary, 'history' is fashioned by the way events are named and the language used to describe them. 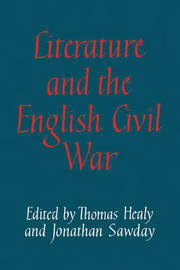 To understand the literature of the English Civil War is to form a vital perspective on this major period of transition. Essays in the volume focus on issues of ideology and genre, often with reference to topical debates about how the events of 1640-1660 can best be characterised. There are pieces on the politics of the masque; lyric and devotional poetry; women's writing and the Civil War; attitudes towards Ireland; colonialism; madness and division; individual writers such as Hobbes, Marvell, and Milton; and other relevant topics. An editorial introduction traces themes and provides a useful overview. 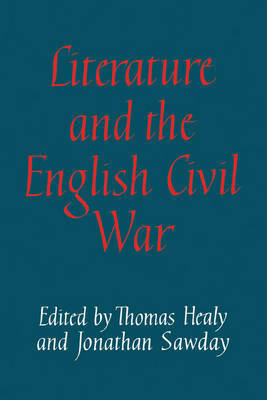 This book is a major contribution to our awareness of the conditions of literature during the English Civil War and an important statement in the debate about the relation between literature and history.